I had the opportunity to sit down with Daniel Cowen and Max Bogue, two of the Hong Kong-based co-founders of 3Doodler, a 3D printing pen which allows you to draw in the air to produce 3D shapes and patterns. More than 26K people contributed to a wildly successful Kickstarter campaign in 2013; and another 10K backers in a second fully-funded project for their second-generation device in 2015 — all before the crowdfunding platform was available in Hong Kong and started gaining traction among local consumers. Having been able to expand vertically through distribution in local retail stores like Log-On, as well as a global presence online and in offline Maker exhibitions, I was interested to know what they have learnt from their Kickstarter experience and their tips on running a successful crowdfunding campaign. “The beauty of crowdfunding is that, you can present a product concept or a product to the world, and see whether or not consumers actually want it,” says Bogue. But there’s a “catch”, so to speak. The promotion video is one of the first things prospective backers will see on the front page of a campaign. It is also usually the only place where they can see a product demo in action, and to also get to know the people behind the project. So how do you make sure you get your message across? 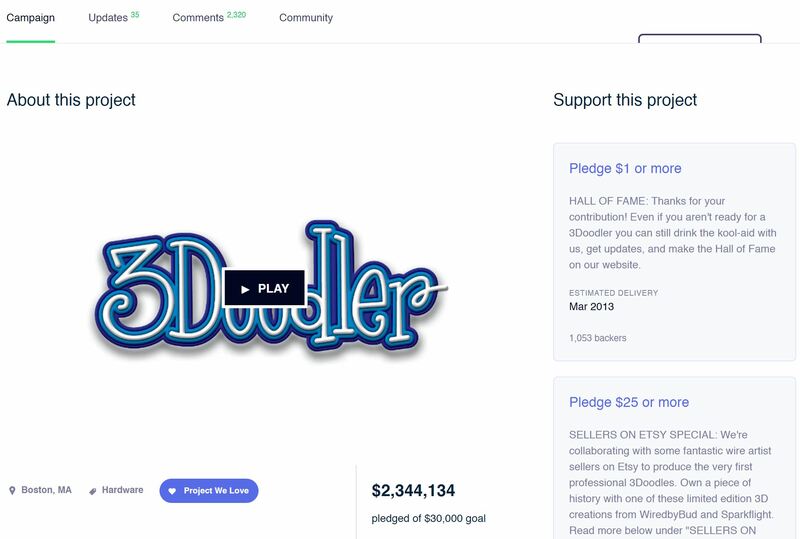 While you can put a twist on a traditional “thank you” to backers who have shown their gesture of support at the USD $1 pledge level (a Kickstarter-equivalent of the “Like” button), a ridiculously high pledge level may bring about some unexpected consequences, according to the fathers of the handy 3D printing pen. With crowdfunding, where members of the general public are forgoing interest to invest in a product that is not guaranteed to go into production (see: Kickstarter scams), it is without a doubt that transparency is essential during the campaign. “For the first campaign, we ended up creating a list of 15 FAQs, so they could educate themselves and each other. We gave frequent updates, we are very open—our updates are never private, which is really important. “ says Cowen. So it’s not the end of the world if your product is late. What you do have to do though, is explain to people why. And if you are not communicating, then you have a real problem. Getting “Techcrunch-ed” or major media exposure is a milestone that many, if not all, tech startups desire. Even TechCrunch has come out with a guide on getting their attention, but to avoid any mismatch of demand and supply of press, the key is really to find the right reporter for your project. 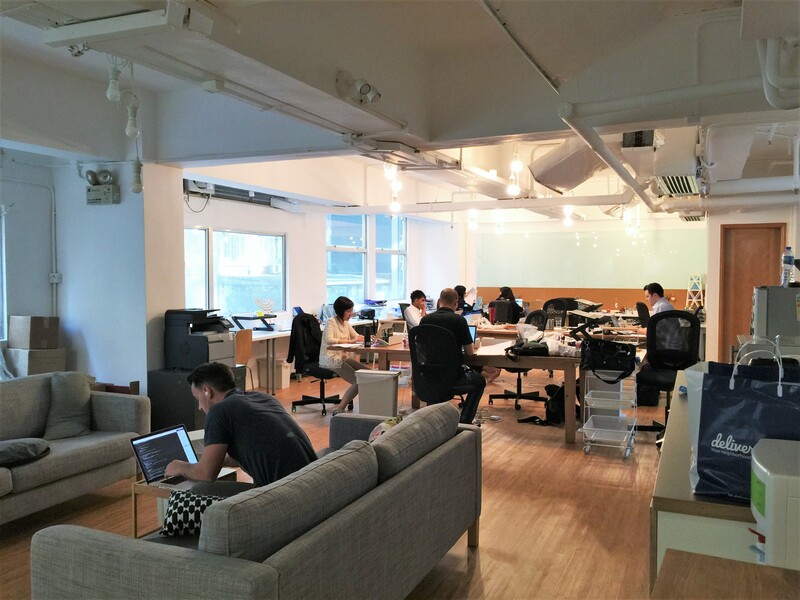 Neighbouring the Shenzhen electronics market and factories up north, Cowen and Bogue both see a competitive edge in basing their hardware business in Hong Kong. The city’s entrepot past also seem to have stuck with the pair. To Bogue, who refers to e-commerce personnel as “more Western roles”, Hong Kong, on the other hand, is “fantastic” for administrative roles in manufacturing, shipping, logistics.